Faith in the Family – The Shema? My Faith in the Family journey started many years ago. I would read Bible stories to my sons – mostly at bedtime, I would pray with them – mostly at mealtimes, and I would teach them about God – mostly when they asked me questions. Things changed in 2008. My oldest son was now 6 and we had covered all the Bible stories, watched all the Veggie Tales videos, attended church regularly, and were plugged into a wonderful christian community. We were doing our best to do everything “right”. Then I came across the Shema – the words of scripture found in Deuteronomy 6:5-9. Verse 5 says “Love the Lord your God with all your heart and with all your soul and with all your strength.” I knew almost instantly that I’d just been going through the “faith” motions with my sons. Did I really love the Lord with all my heart, soul and strength? And how was I living that out in front of my children? My Faith in the Family journey suddenly took a sharp turn. I’m sure there are a few more sharp turns coming as I continue to answer the same question over and over in all areas of my life: What does it look like to love God with all my heart, soul and strength? What does it look like in my marriage, my parenting, my health, my finances, and my community? The next few verses – Deuteronomy 6:6-9 create an image of families growing in faith together – reading and memorizing the Bible, teaching children about God, talking about faith anytime and anywhere, and living out that faith in our families and in our world. I’m sure prayer was a big part of this image. I WANT this for my own family – doing all these wonderful things together. When I look back at the years spent raising my children, I want my fondest memories to include learning from the Bible and living for Christ. The hard truth is that our children learn from our example. Don’t let that discourage you, instead let it encourage you to grow in your faith. This verse says we are to love God with ALL we are – that’s huge! Loving someone that intensely requires that you really know them. How can you get to know God? By reading His Word – even one verse a day is better than nothing! Just watch how God blesses your efforts and how the Bible proves itself to be the “living and active” Word of God (Hebrews 4:12). By spending time with Him – pray, listen, open up the lines of communication. He’s there just waiting to meet with you, and you can talk to Him about ANYTHING! By getting to know His people – pray that God will direct you to the friends He has waiting just for you. If you haven’t already started to set a solid foundation for your own faith, now is a great time to start. My hope is to encourage you and your family in living out faith in your family and in your world. Over the next little while this Faith in the Family blog series will focus on the Shema and how to live that out through family devotions, scripture memorization and prayer in the family. Let these commandments be on the hearts of our family. Impress them on our children. May we talk about them when we sit at home and when we are out in the world, when we lie down and when we get up. Teach us to tie them as symbols on our hands and bind them on our foreheads. Help us to write them on the doorframes of our houses and on our gates. Fill us with a desire to grow spiritually and impress Your word into the lives of our children. I give our family to You believing that Your plans for us are far beyond what I could ever hope for. In Jesus’ Name, Amen. 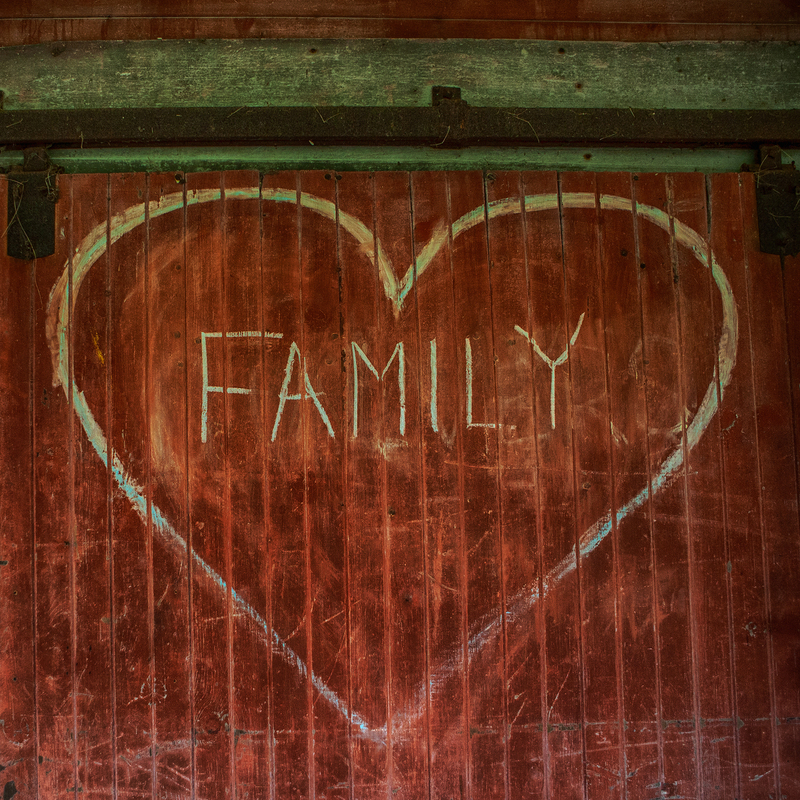 And I have a few ideas to share with you along the way – practical ways to get started on Faith in the Family (if you haven’t started already or just need some help to get the ball rolling). Ask your child(ren) to draw a picture of your family. Share with them how Jesus is a part of your family, and that He loves everyone in your family. Then add Him to the drawing. Let your little one(s) make hearts to give to each family member and also make one for God. As you pass out the hearts, tell your family you love them and you love God! Check in with your children about their faith. Ask them what they know about Jesus and if they have any questions about God or the Bible. Read through the Shema with your child(ren). Ask them for ideas about being a family of faith and what it means to them. Try out a couple of their ideas! Prepare yourself to have an open discussion with your teen! Let them know you want to be a good role model for them in faith matters. Ask them how you’re doing so far and appreciate their honesty! Is your teen plugged into a good youth group? Get a feel for what they’re doing and learning in the group. How can you can get involved? Would your teen be open to this? Youth group is fun for both young and old!